A review is a testimonial given to a service professional by one of their customers. 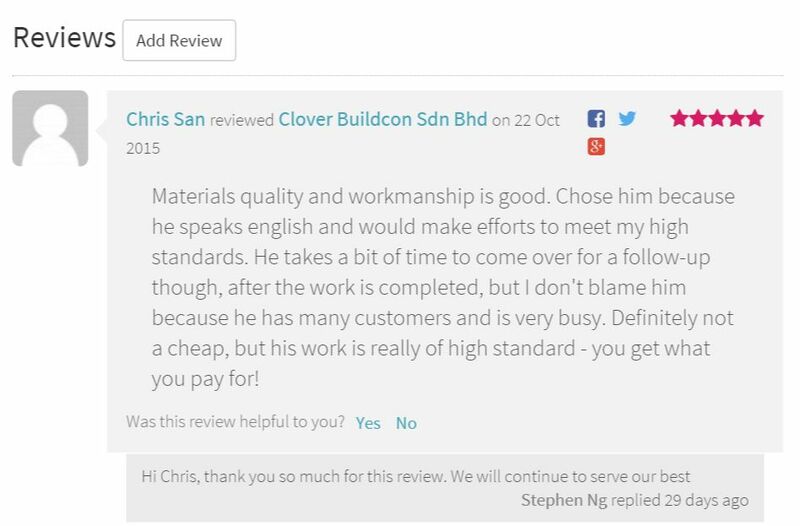 When a customer writes a review for a service professional, it will appear on the service professional’s page. Each customer is also asked to rate the service professional based on timeliness, service, value and quality of work. The ratings are then calculated to give the service professional an overall "star rating" e.g. 3 stars, 4 stars, 5 stars. If a service professional gets five stars, it means that customers are very happy with all aspects of the timeliness, service, value, and quality provided by the service professional. We use star ratings as one of the factors to determine which service professionals appear on your search results.